DC Local Locksmith Experts is a bonded and insured locksmith company that offers fast and friendly, 24-hour locksmith service in Washington, DC for burglarized homes and offices. Our mobile locksmiths will arrive quickly to rekey or change the locks, cut new keys, and repair doors and/or windows, if needed. There are few things in life more devastating than returning home to find your house has been burglarized. Instantly the place you feel the safest no longer feels secure. At DC Local Locksmith Experts in Washington, DC, we understand exactly how you feel. That is why we are your trusted experts in burglary damage repair DC. Our expert technicians live locally and have a maximum 30 minute response time so that we can get to you and have your locks changed within minutes. Our goal is to restore your sense of security as quickly and painlessly as possible, giving you one less thing to worry about during this stressful time. We have served the Washington, DC and surrounding area for more than five years and are fully bonded and insured. We offer 24/7 locksmith services and competitive, upfront pricing. Our friendly and helpful office staff is standing by to dispatch one of our highly trained and professional lock experts to your location to evaluate and repair the burglary damage. They will quickly let you know whether you need your locks rekeyed or replaced, and will even do a complete security audit of your home and recommend additional security measures. Our 5+ years of experience makes us one of the most sought after locksmiths in the area. We have local ties, and local technicians that will work hard to ensure your burglary damage repair is completed quickly and thoroughly. Our mobile locksmiths will give you an honest assessment of your situation. We will work efficiently to rekey and replace all locks that are damaged or compromised. We offer complete residential, commercial, and automotive locksmith services in Washington, DC, so feel free to ask about any other services as well. DC Local Locksmith Experts is an established bonded and insured locksmith company that offers fast and friendly service in the Washington, DC and surrounding area. 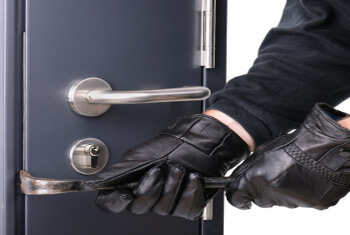 If you are in need of burglary damage repair, then we are standing by to assist you in any way. We offer complete locksmith services from rekeying to a complete replacement of your entire lock system. Our expert technicians are highly trained and experienced, and using only the best tools, and newest technology, we will work hard to ensure you are safe and secure in your home. So call your locally owned and operated DC Local Locksmith Experts today for professional and quick burglary damage repair DC. Fully bonded and insured, we understand how important the availability of reliable and dependable locksmith services are during a stressful time such as a burglary. Don’t sit home and worry about whether or not you are safe for even one minute longer than necessary. We have staff available with 24/7 locksmith service so we can immediately send someone to secure your home, and restore your peace of mind. 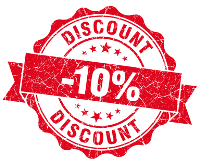 Our residential locksmiths always offer upfront pricing, so there will be no surprises at the end of the day. We will complete any lock rekeying quickly and efficiently. If you need a security audit, we’ll do that too. As always, our services are completely guaranteed, and our priority is your satisfaction, security, and safety. 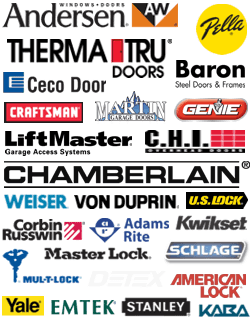 Burglary Damage Repair https://dclocallocksmith.com/residential-locksmith-dc/burglary-damage-repair-dc/ 4.2/5 based upon 31 reviews.